Memorial Day Weekend is a time for honoring veterans and a time for spending time with loved ones. The feeling of connectedness can be enhanced when you celebrate in the company of others at public events and festivals, and the feelings of wellbeing are increased when you spend them outside in incredible weather. Looking for a way to spend your time this Memorial Day Weekend? 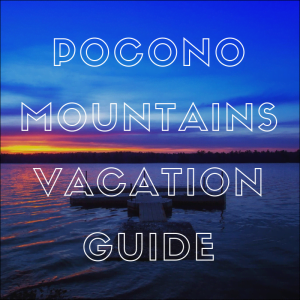 Look no further than these events in the Pocono Mountains. The Poconos come alive in May. They wake up and shake off their winter slumber as the warm rays of sunshine come in and sweep the wintry weather away. This sets the perfect scene for a multitude of exciting outdoor celebrations on Memorial Day Weekend. While there’s always something happening in the area, this weekend is an especially fun time. 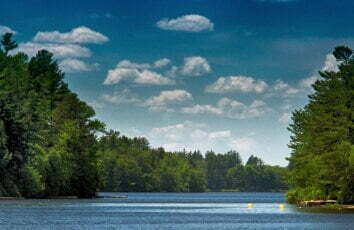 All throughout the Poconos, the towns, rivers, and lakes hum with activity. Check out a few of the events below! Starting in April, there are whitewater dam releases daily at the Lehigh Gorge. However, on the 25th and 26th, you can expect an extra boost. Get out on the water and enjoy an adrenaline rush with white water rafting! Head over to the Quiet Valley Living Historical Farm to interact with adorable baby farm animals! If you have kids, they will love petting the animals and playing traditional games. 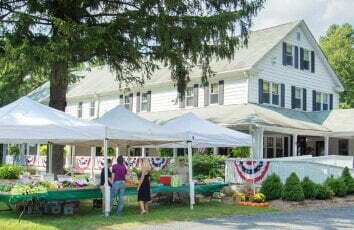 There will also be horse-drawn wagon rides, a plant sale, and delicious homemade food and sweet treats available. Celebrate the arts at Cedar Crest College! This cultural festival has been around for decades. Marvel at work of artists from the surrounding area, enjoy live music, attend artist demonstrations, and treat yourself to some delicious food and drinks. Enjoy nonstop Celtic music on two stages, bagpipe performances, working sheep dogs, Irish step dancers, and wares from several Celtic craft and food vendors. The kids will love the Celtic wizard magic show, leprechaun juggling show, face painting, and petting zoo! Stay at Mountaintop Lodge and Memorial Day Weekend celebrations will be taking place practically at your feet. You can spend the whole weekend playing on the lake if you want! 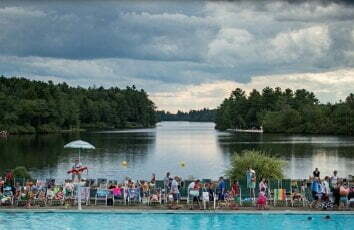 Guests of Mountaintop Lodge enjoy complimentary access to the amenities at Lake Naomi Club, many of which open for the summer over Memorial Day Weekend. You’ll enjoy exclusive access to the private lake, whether you choose to lounge on one of the beaches, swim in one of the pools, spend time at the community center, go boating on the lake—the list goes on and on! Mountaintop Lodge provides a cozy oasis nestled in the natural beauty of the Poconos. 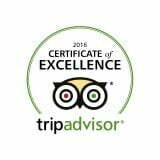 You’ll find that many features set us apart, but we go above and beyond to make sure that our guests feel welcome and have everything they need. 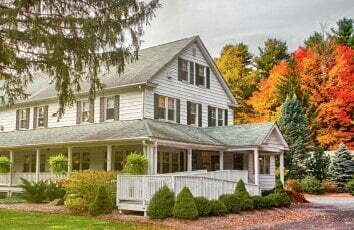 Be sure to take a look at all of our lovely Poconos accommodations, and book your stay at our bed and breakfast today!